Boat Names - the Blog: Contest: Win a New Boat Cover! Contest: Win a New Boat Cover! If Irene left your boat filled with leaves and branches as well as gallons of water, you are probably wishing you had an easy to use boat cover this past weekend. Thanks to one of our sponsors, we can try to help you make that happen before the next storm comes your way. Thanks to Empire Covers, you can win a boat cover or a personal watercraft cover (maximum value of $100) to one lucky winner. Two runners-up will each receive a $25 gift certificate for personalized gear from Boat Name Gear. We will draw the names and contact the winners a week after the contest start date, so you have until noon EDT next Thursday (September 8, 2011) to enter. Only one entry form is allowed per person, but we'll double your chances of winning if you also give the Empire Covers facebook page a "like". What are you waiting for? 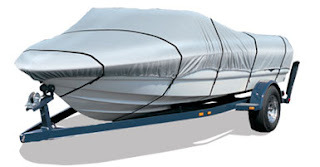 Enter here to win a new boat cover now! The winners have been contacted! We've heard back from one so far, and as soon as we hear from all three we will announce the winners and deliver the prizes. Congratulations to all!